Well, I’m more than convinced through watching many speak in groups and through other evidences that some people lose confidence when speaking because they haven’t spoken enough in the past in such situations. This is the biggest reason, and, because it looks so simple and obvious, is often missed. Few months back, I observed a class of 30-odd first-year undergrad students perform a speaking exercise. I noticed that some students volunteered, walked in front, and spoke (say, first category). Some needed to be coaxed (say, second category). And yet there were few students who came forward only after multiple nudges (say, third category). The first category of students, by and large, also fared the best in speaking. In the third category, some students barely spoke and some just read out from a prepared paragraph. Curious, I asked each student coming in front to tell if s/he had performed a similar activity earlier. 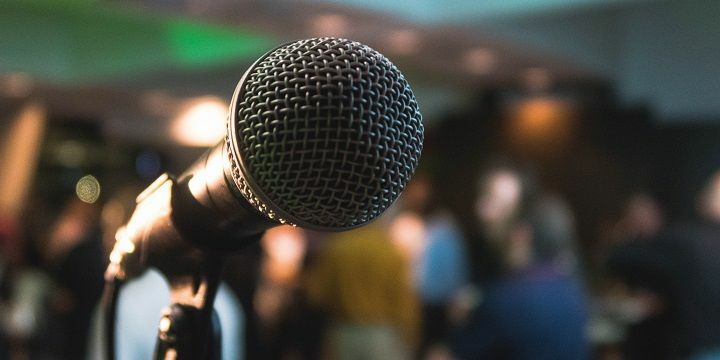 It turned out that almost all students in the first category had either spoken to an audience like this or performed some other extracurricular activity when in school. The correlation was unmistakably strong. Do you see what happened in this case? Those who had faced same or similar uncomfortable situations earlier were more at ease in speaking to a group. In other words, they were more experienced in the situation they were facing. If the students in the third category too expose themselves to such situations, they too can move to the first category. It’s predominantly about embracing discomfort and getting more and more relevant experience under your belt. Your ability (or inability) to speak has nothing to do with any inborn factor. We believe that people are shy not because they lack social skills but because they haven’t practiced them sufficiently. Talking on the phone or asking someone on a date is a learnable skill, exactly like a tennis forehand. The key is that people have to linger in that uncomfortable area, learn to tolerate the anxiety. If you practice, you can get to the level you want. People are shy because they haven’t practiced ‘outgoingness’ enough, like some students hadn’t practiced facing small or large groups in the case study I described earlier. Those who can’t draw think that either you have it in you or you don’t, and if you don’t then you just can’t draw. (As far as artistic fields are concerned, I too held that belief till recently.) 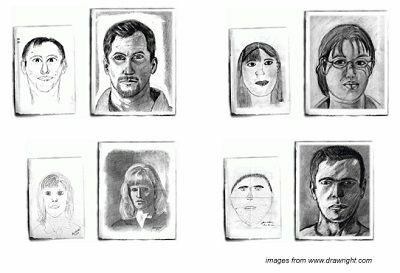 Carol Dweck, in her book Mindset, narrates how dramatically people improved their drawing skills after taking a five-day course on the subject. On the left in each of the two columns in the image below is the drawing before the course, and on the right is, after the course. People can’t draw because they haven’t practiced drawing enough, like some students hadn’t practiced facing small or large groups in the case study I described earlier. The solution is simple – get more experience doing what you dread, and the task will look easy. Prayers won’t work. Deep breathing won’t work. Visualizing yourself speaking like Barrack Obama won’t work. All these methods will disappear out of the window when you take the floor to speak if you haven’t discomforted yourself enough in the situation before. Step it up gradually though. Start with speaking in small groups before you address an audience of fifty. If you’ve never spoken in a meeting in your office, start with a rehearsed one-sentence interjection. Start small and go up gradually. That’s the way. When you initiate into tasks you haven’t attempted before or done sparingly, you’ll make mistakes. Don’t fear mistakes. No one has ever learnt a new skill without making mistakes, and speaking is no exception. But learn from them. And make them in low-risk scenarios such as classroom or among friends and not in high-stakes situations such as a critical presentation or make-or-break deal. Most, however, avoid discomfort and stick with what they’ve been doing for years. (The discomfort too is for some time. With practice and improvements, what was once uncomfortable will become comfortable.) No wonder, they falter when they try the first time, if at all they do. If you’re unprepared for your talk or speech, it’ll make the situation far worse. Preparation is the easier part. That’s in your hand. So prepare well and give yourself the best chance to deliver what you’re about to. Let preparation, the easier part, not become the bottleneck. People see what you show them. If you look nervous, they’ll see nervousness. If you exude confidence, they’ll see confidence. Even if you’re nervous, fake confidence. They’ll believe you’re confident. And once you’re through the first minute or so, you’ll start feeling much better. It is very useful for everybody who is interested to learn English easily.